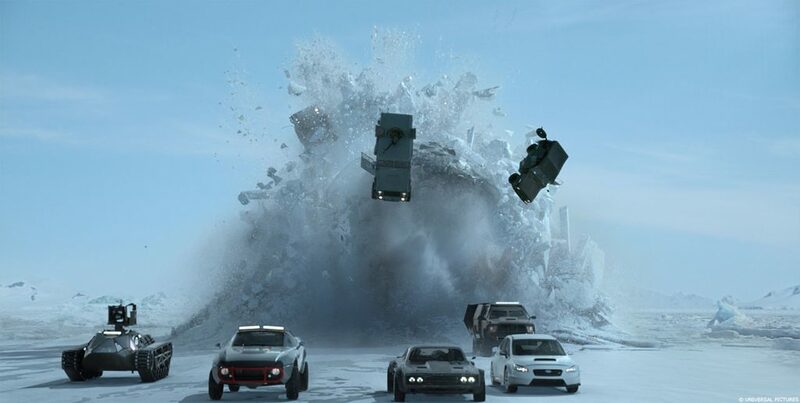 "cineSync makes it all possible"
The Fate of the Furious was released last week with the biggest worldwide opening weekend of all time. 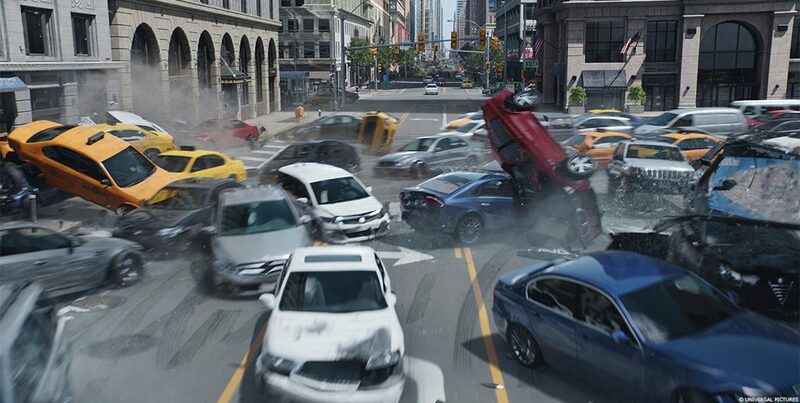 To get to that point, the film-makers required 2600 VFX shots to help create the massive set pieces that define the film and which have become an expected part of the franchise. Recently Art of VFX sat down with Production VFX Supervisor Kelvin McIlwain to discuss how they managed to coordinate so many shots across multiple vendors. How was the collaboration with director F. Gary Gray? Gary’s great. He had a lot of trust in us to realize his vision. What was his approach and expectations about the visual effects? Gary hadn’t ever done visual effects quite on this scale before so he put a lot of faith in our department to deliver the goods. The look and feel of things were what were most important to him. There were certain visual aesthetics that he defined early on with an extensive look book that he assembled via Pinterest. It contained everything you needed to know for Gary’s vision of the movie. Can you tell us how you choose the various VFX vendors? It’s mostly about past experiences and knowing what the vendors are capable of and what their strengths are. Capacity is also a huge factor. When you have a show with 2600 VFX shots you need heavy hitters that can take on a lot of shots. We still ended up with a lot of vendors but we tried to keep it as manageable as possible. Budget also plays a big role in deciding what vendors you award. Money is always a driving force. How did you split the work amongst these vendors? Digital Domain was responsible for most of the third act in Russia. Double Negative did the second act in New York with the Zombie cars. Rodeo FX did the Berlin wrecking ball sequence. Pixomondo did the opening Cuba race and a bunch of mini sequences throughout the film. Cantina Creative was responsible for all the graphics throughout the movie. 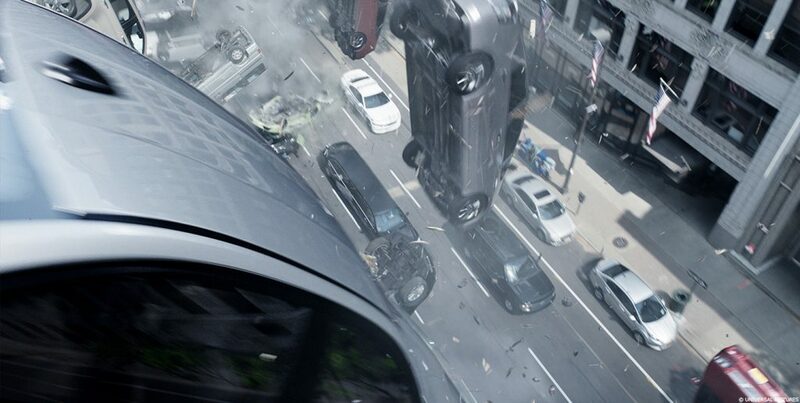 Rise FX did the final New York rooftop sequence. Trixter and Raynault FX also did some fantastic work throughout. Can you tell us more about your collaboration with their VFX supervisors? I’m a big believer in working closely with the vendor supervisors and having them on set when their sequences are being shot. Those relationships are so important. You can’t help but become close when you are in the trenches together on a daily basis. That familiarity pays huge dividends later when you are in post. Communication is everything and it’s much easier when you know that person on the other end of the line. Jay Barton of Digital Domain, Alex Wang at Double Negative, Nhat Tran from Pixomondo, and Philippe Soeiro of Rodeo FX were all phenomenal to work with and I’m proud to have them as friends. The vendors are all around the world. How did you proceed to follow their work? It wasn’t all that bad on this one. Most of the work was being done in Vancouver which is in the same timezone. Montreal is only three hours different so that’s manageable. Germany was the biggest time difference but we scheduled accordingly. cineSync makes it all possible. I can’t imagine how we would do it without that bit of software.